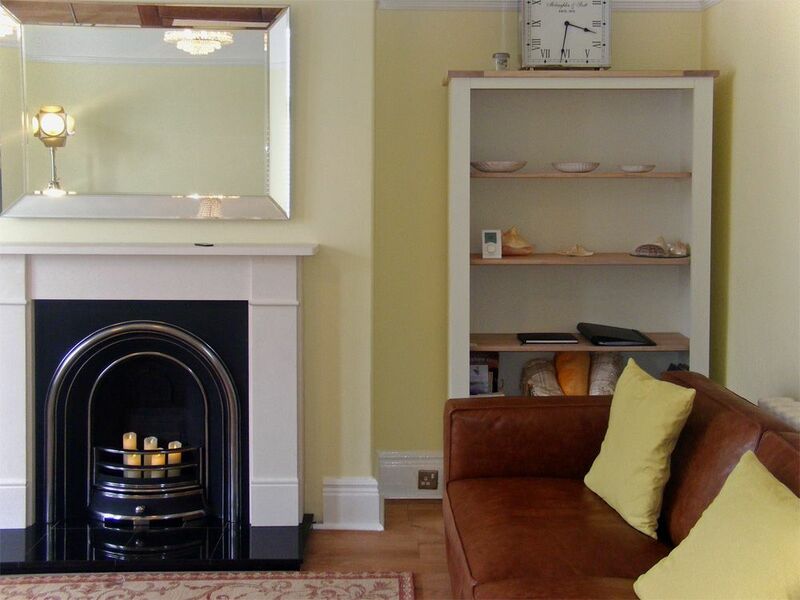 Lovely South Cliff flat near Esplanade and Ramshill - with discount for couples. Oct 2018. Beautiful Stay... I almost didn’t want to leave this review as we wanted to keep it a secret. Had a absolutely brilliant stay at this beautiful apartment, your every need is catered for. 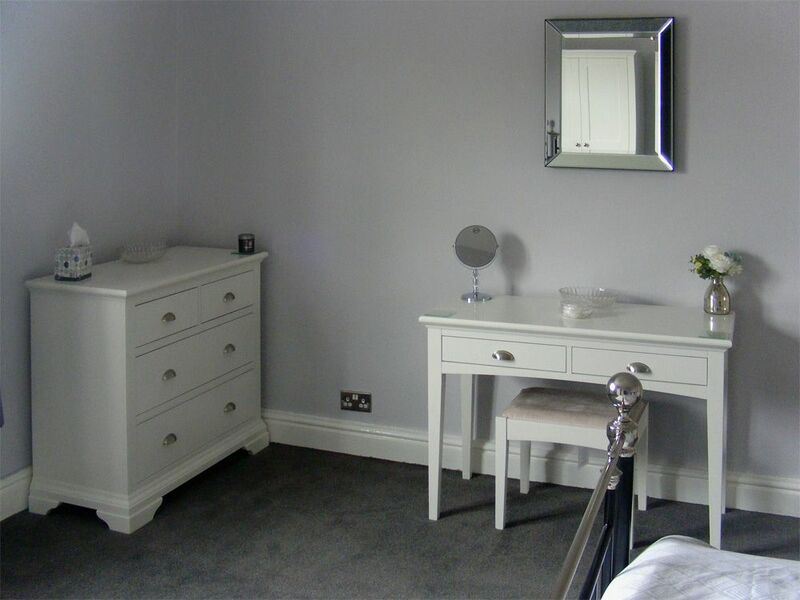 It has been decorated to a very high standard with top furnishings. Really hope your future clients appreciate it and look after it. Starfish booked through Bedwyn's. 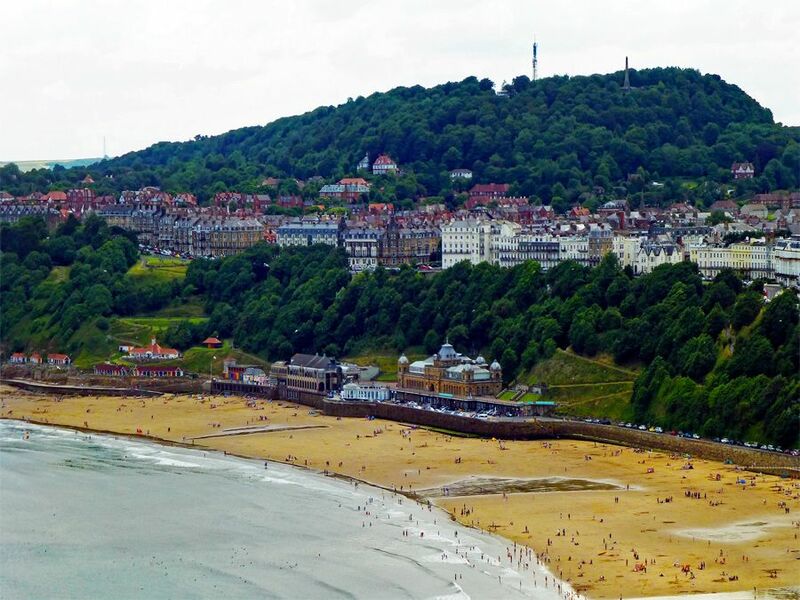 High-quality, affordable 2-bedroom flat situated just a few hundred yards from Scarborough's Esplanade and Cliff Lift. Starfish has high-ceilings, large windows and tasteful decoration and furnishings which create a welcoming, relaxing atmosphere. 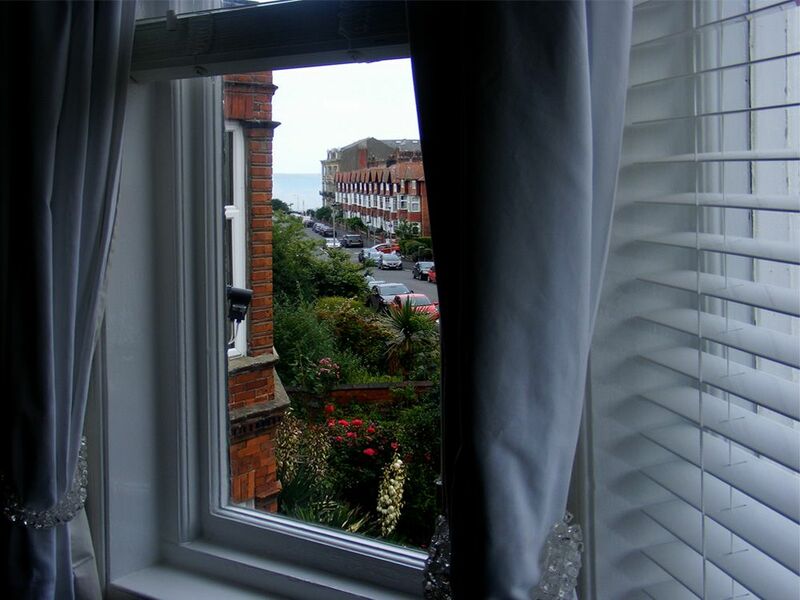 Views from all aspects are open and pleasing... with a glimpse of the South Bay from the lounge. 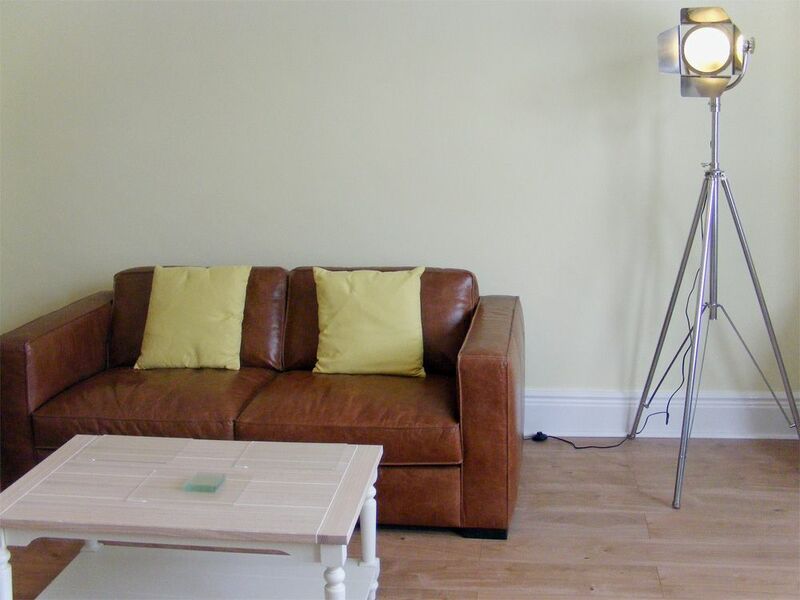 The beautiful flat takes up the first floor of a lovely Edwardian red-brick building. 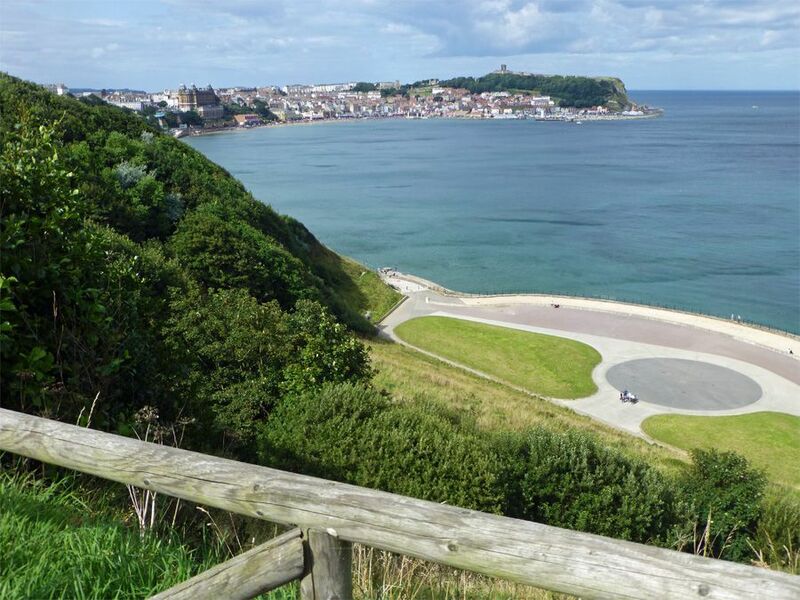 Well located for a Scarborough self-catering holiday, only a couple of minutes walk from cafes and local shops/supermarket at Ramshill and the hotel bars and eateries on the Esplanade. 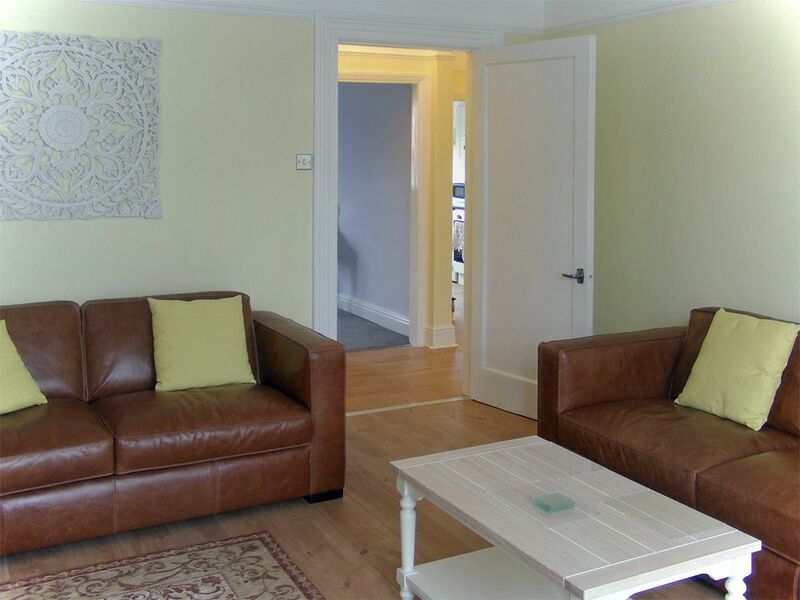 The accommodation is stylish and welcoming with a really spacious south-facing lounge complete with large comfy sofas, flat-screen TV, DVD, CD/radio and coffee table. 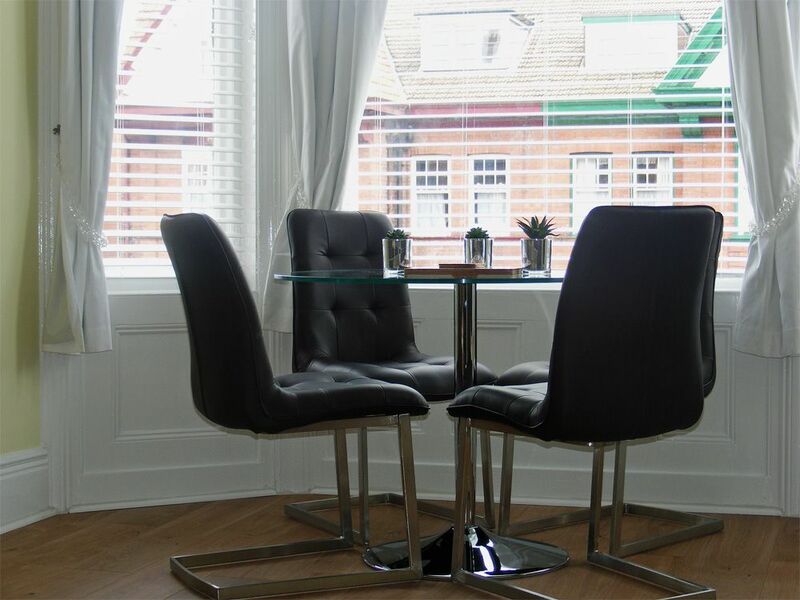 The dining table and chairs are positioned in the bay window, where you can sit and watch the world go by. 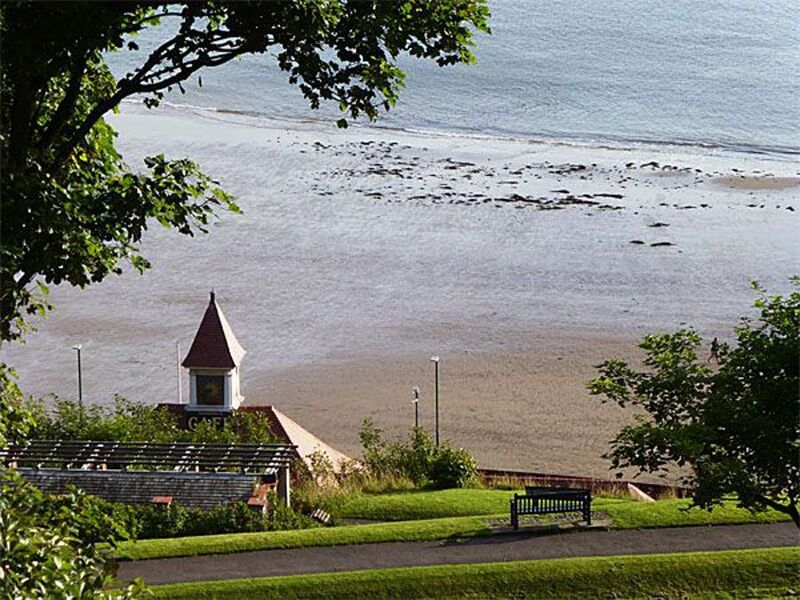 In one direction, you can see the sea beyond the end of Avenue Victoria, and in the other direction Oliver's Mount. 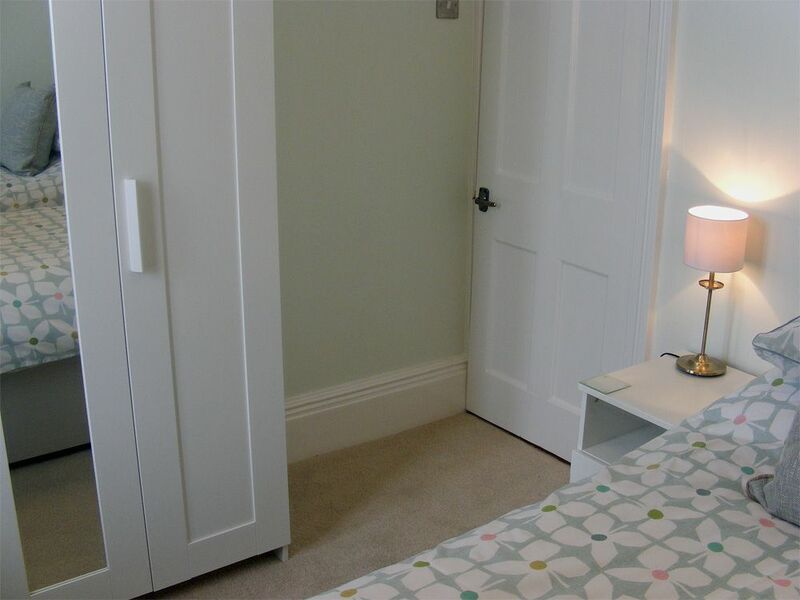 Off a central hallway are the kitchen, bathroom and bedrooms ... and a large walk-in storage cupboard where you can stash away all your coats and luggage. 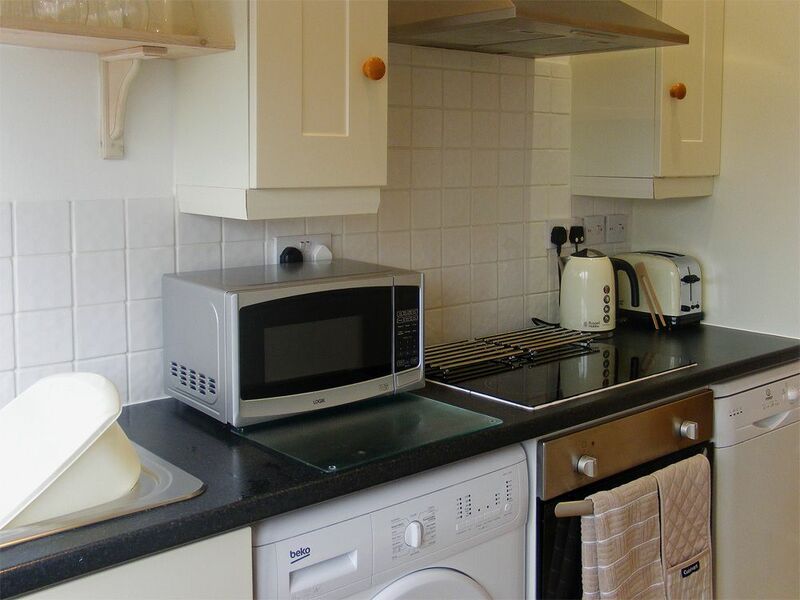 The smallish but well-designed kitchen is generously-equipped with WASHING MACHINE, DISHWASHER and FRIDGE/FREEZER, microwave, toaster, electric hob, oven and extractor and has the added benefit of a breakfast bar and stools. 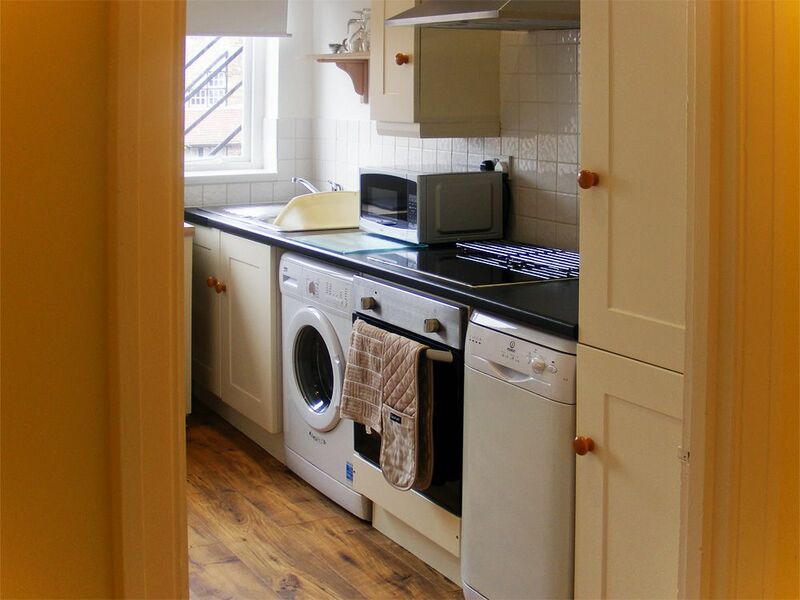 An iron, ironing board and airer are also provided. 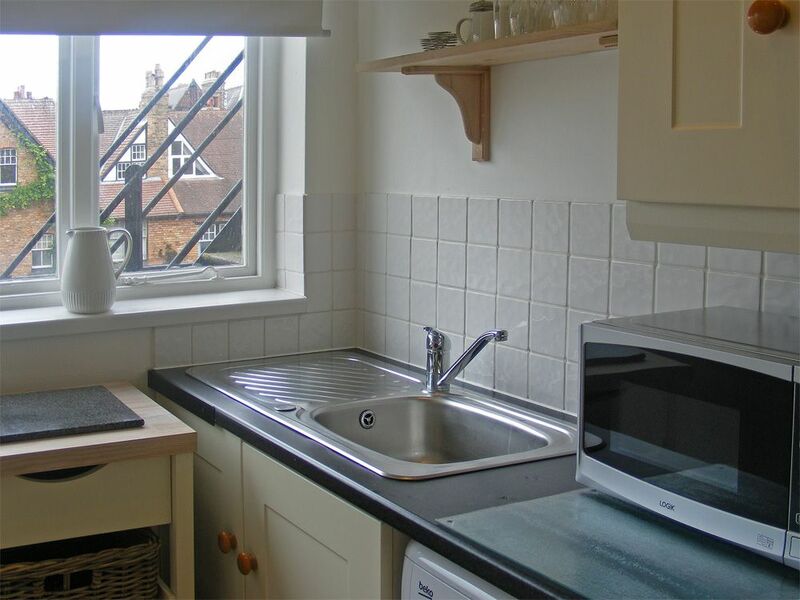 From the kitchen a door opens onto a fire-escape and down to a large yard (see below). 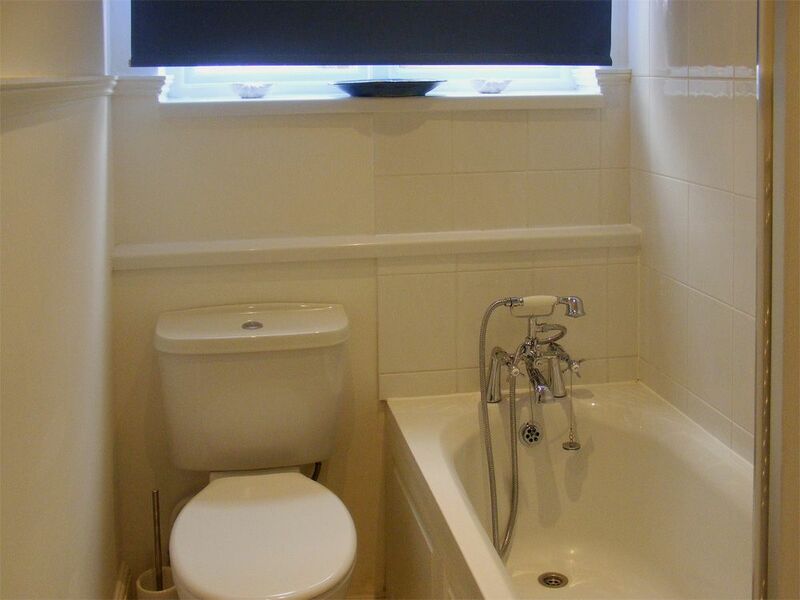 The bathroom is modern and bright offering a bath, with electric shower over, WC and washbasin. There's a really large luxurious master bedroom with King-size bed, wardrobe, dressing table, mirror, reading lamps and drawers. 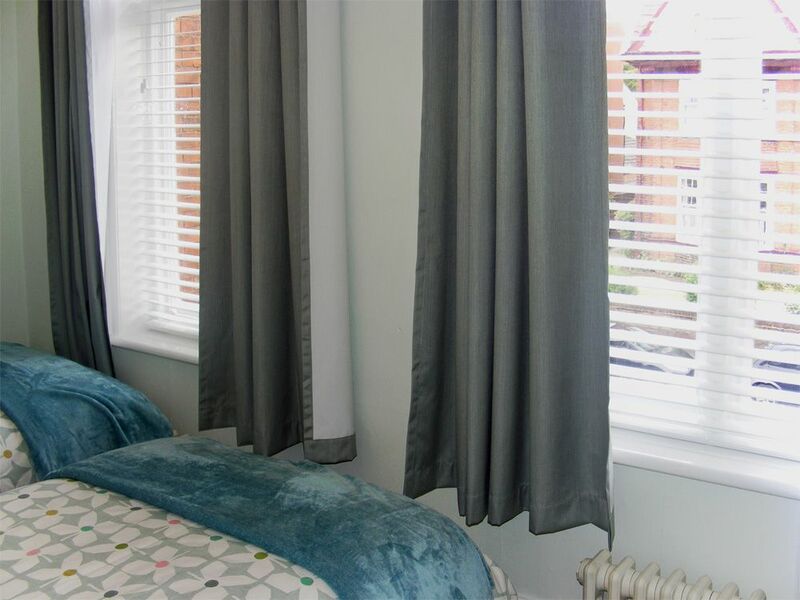 This room has a very pleasant open outlook with views of sky, well-kept garden areas and other atractive South Cliff properties. 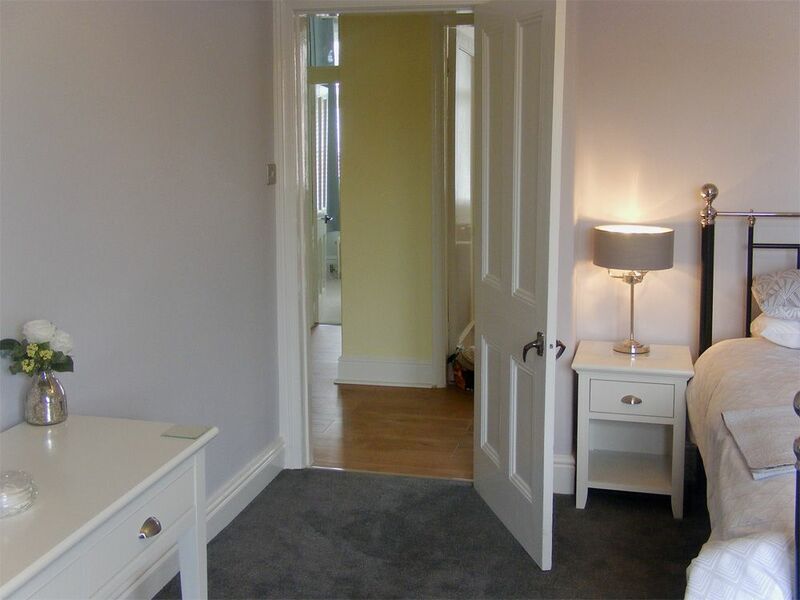 This master bedroom can easily accommodate a cot. 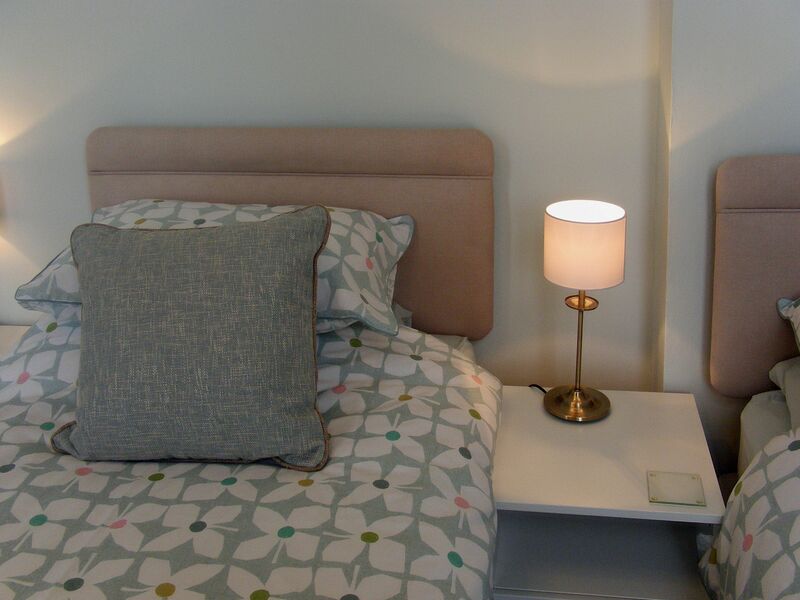 The pretty second bedroom has twin beds (2ft 6in in width), bedside cabinet and wardrobe. It is probably most suitable for 2 children or 1 adult. Tall twin windows bring bright southern light into the charming room. On arrival from Avenue Victoria you enter through a gate and a lovely plant-filled front garden to the front door of the building. . 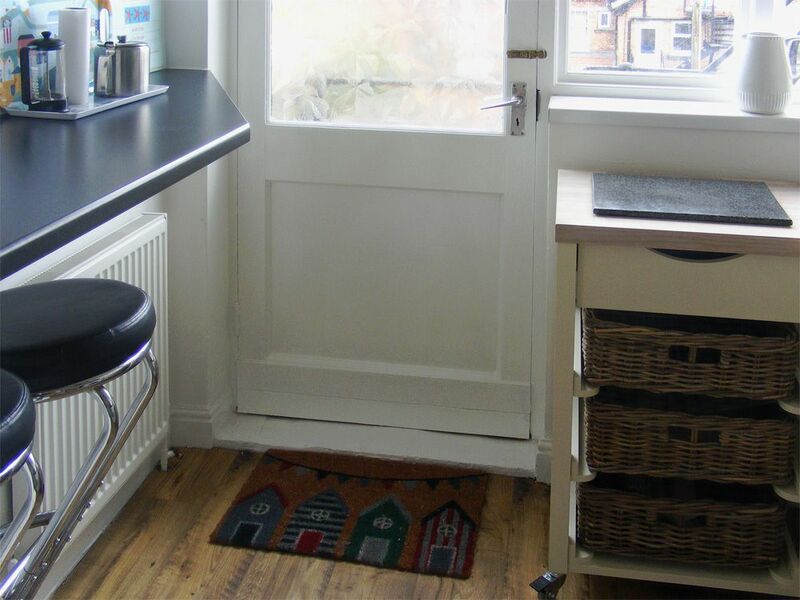 There's a small outdoor space off the kitchen onto the fire-escape landing... not really suitable for sitting out but fine for a breath of sea air or for drying wet boots etc. 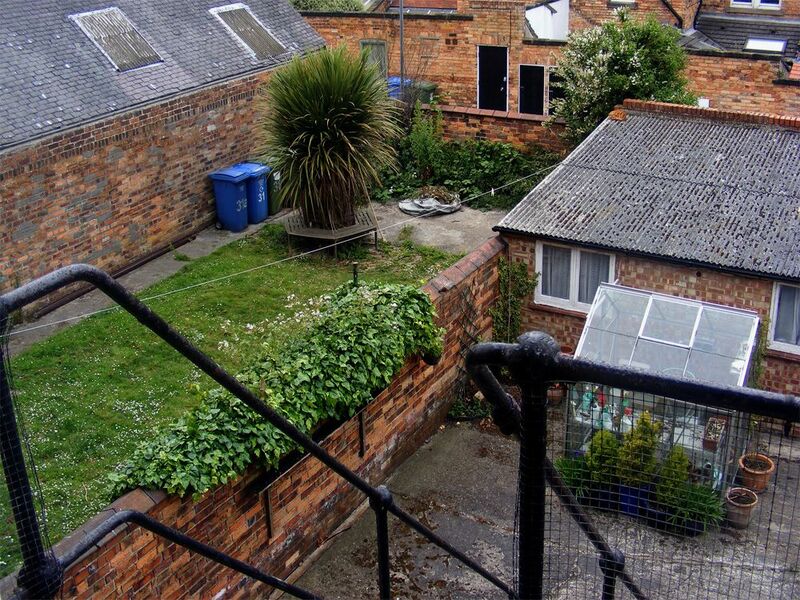 The fire-escape steps lead down to a large well-kept yard/garden (belonging to the downstairs flat) - where bins are located. Free WiFi. 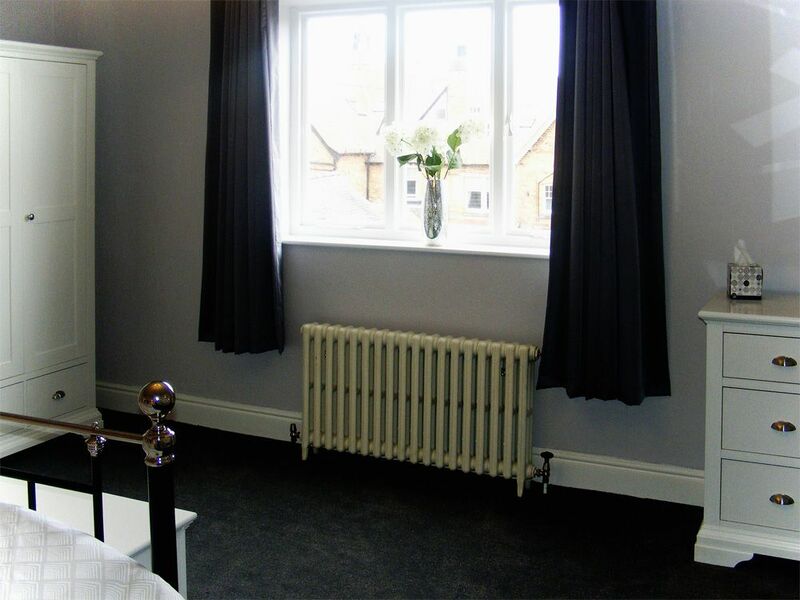 All your bed-linen and tea-towels are provided, but PLEASE BRING YOUR OWN HAND/BATH TOWELS. Travel cot, high chair and play pen also available (if requested in advance) at no extra charge. 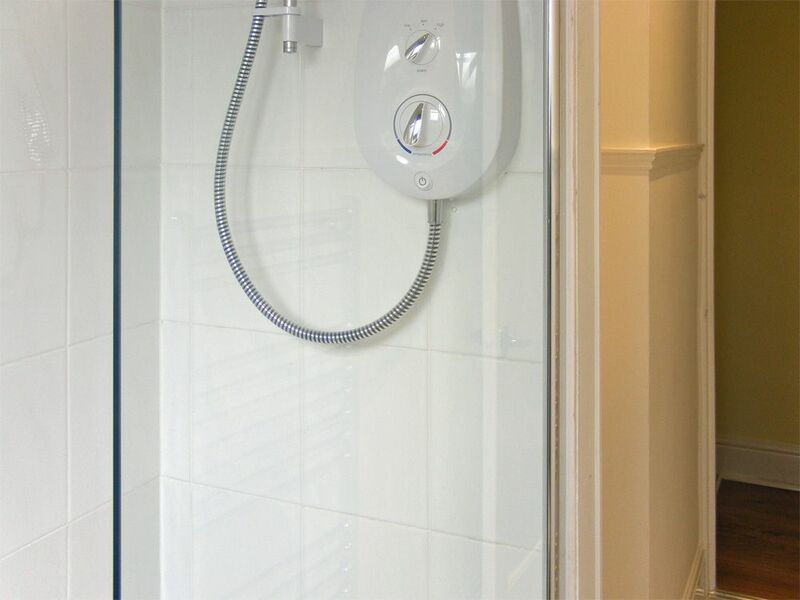 Ideal for Autumn/Winter breaks...with easy to control central heating and plentiful hot water. 1 small-med dog welcome free of charge. 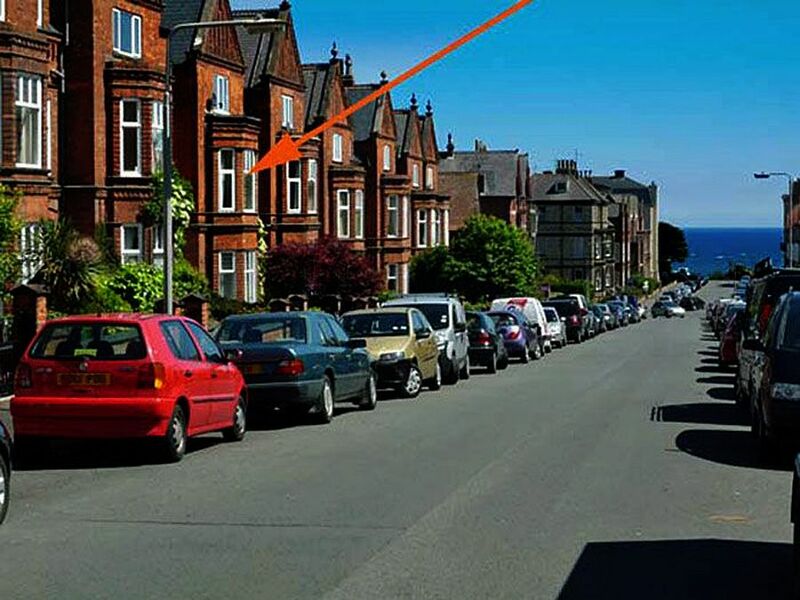 Parking is non-designated, on-street.... free and unrestricted on this section of Avenue Victoria. No scratch cards or permits are required. 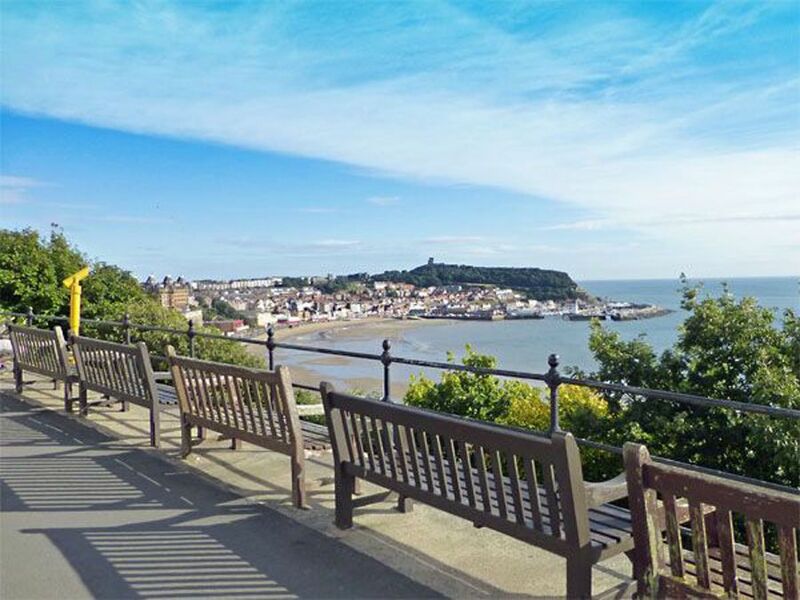 South Cliff is regarded as the quieter side of Scarborough and is characterised by attractive period architecture, breathtaking natural scenery and beautiful formal gardens. The award-winning Italian and Belvedere Gardens which extend from the Esplanade above to the South Bay below. 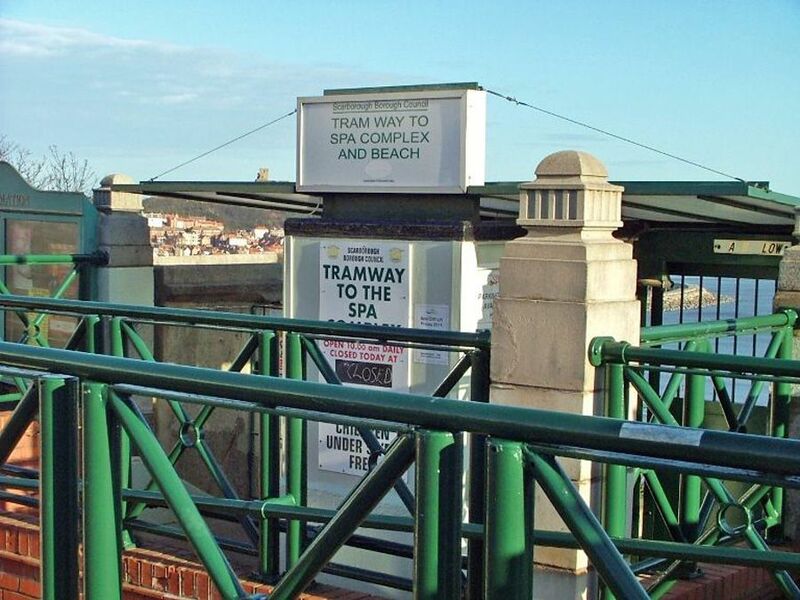 Take one of the many footpaths down through the Gardens to reach the BEACH and other SOUTH BAY attractions (including the SPA THEATRE and Conference Centre) or use the FUNICULAR CLIFF LIFT to transport you between the two levels. You have an excellent range of local shops within 1/2 mile for all your holiday provisions. ..... and a choice of cafes, restaurants and hotels (with bars & leisure facilities open to public) within easy walking distance. 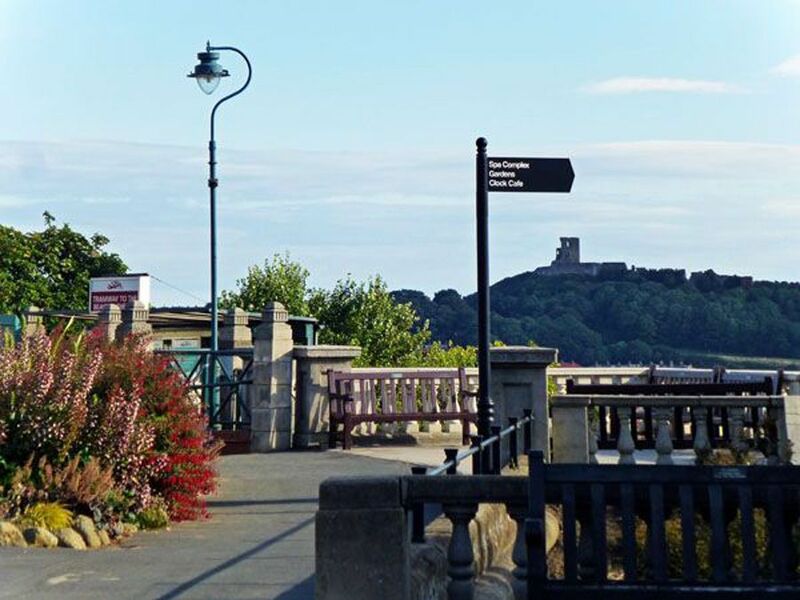 Scarborough's main shopping centre and Bus and Railway Stations can be reached in 15 minutes on foot or in 5 minutes by car. 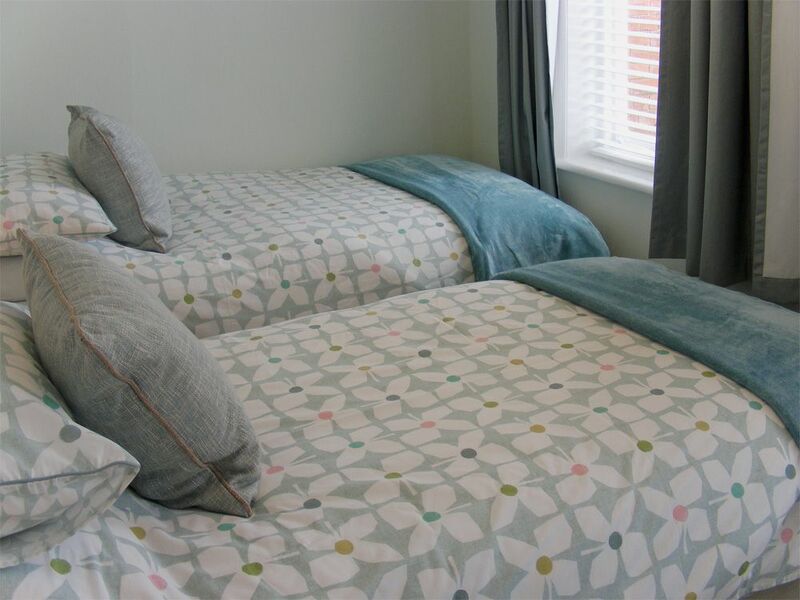 NOTE: The sofa in the lounge can be converted to a comfortable double bed, but we offer this as an alternative sleeping space rather than an additional one, preferring to limit the total number of occupants to 4. Please discuss this with us - we will try to be as flexible as possible to suit your requirements. Strictly no smoking within the building. 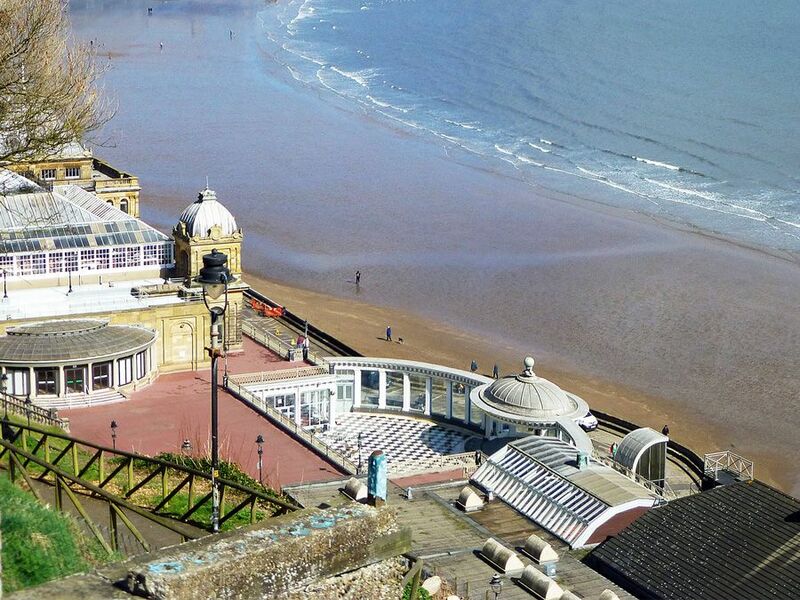 Fabulous accommodation in Scarborough. What a find, absolutely fantastic in every way, would definitely book again. 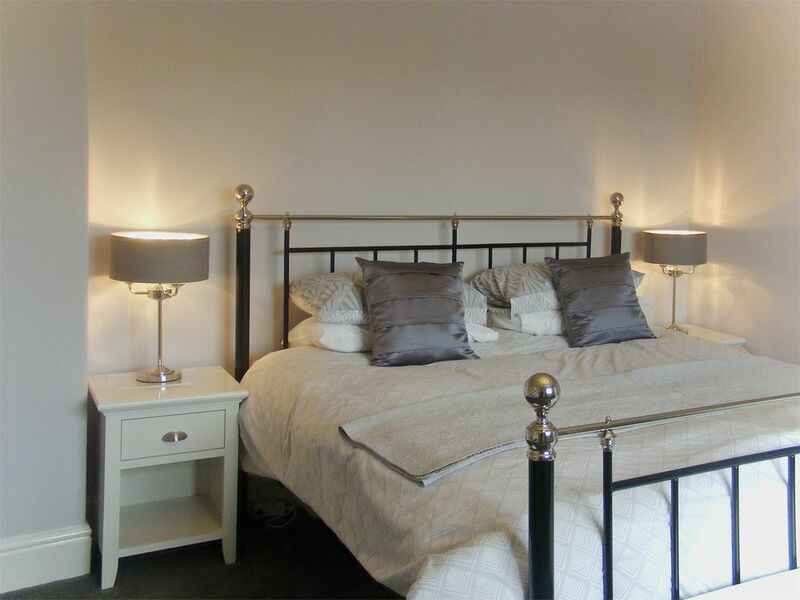 Both the apartment and the service from Bedwyn's was fabulous. Home from Home. We enjoyed staying at Starfish for the third consecutive year. The apartment is spacious, extremely well-equipped and comfortable, within easy walking distance of the Spa, beach, town and local shops. 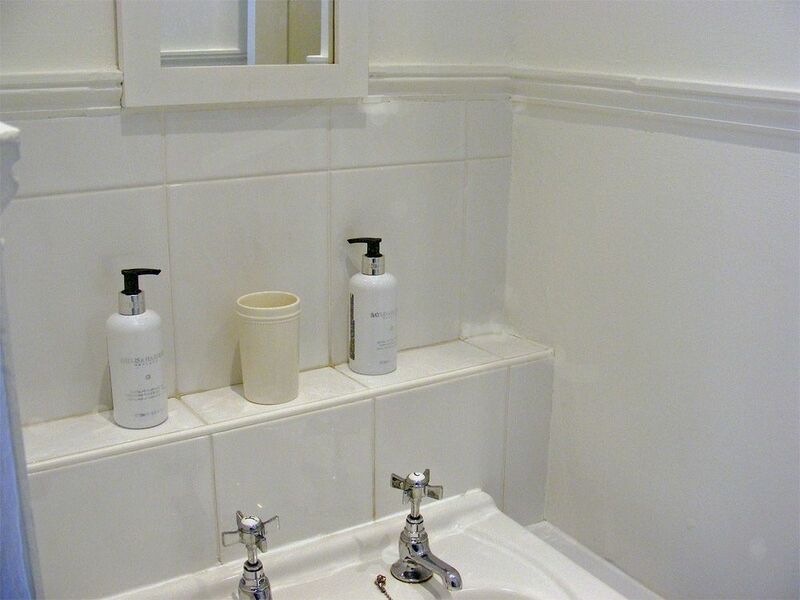 It's always very clean and tidy, and in a quiet area. 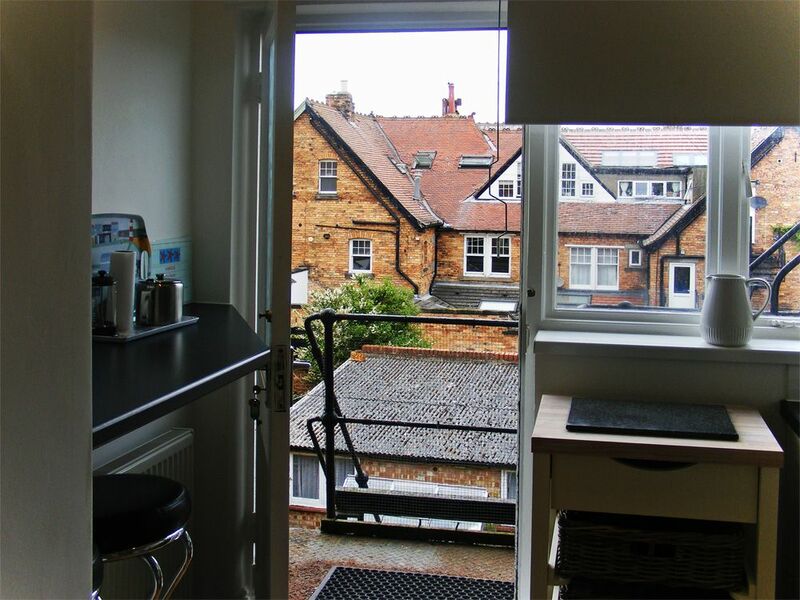 The flat is a brilliant size and in a great location. Perfect as a base to explore the area. 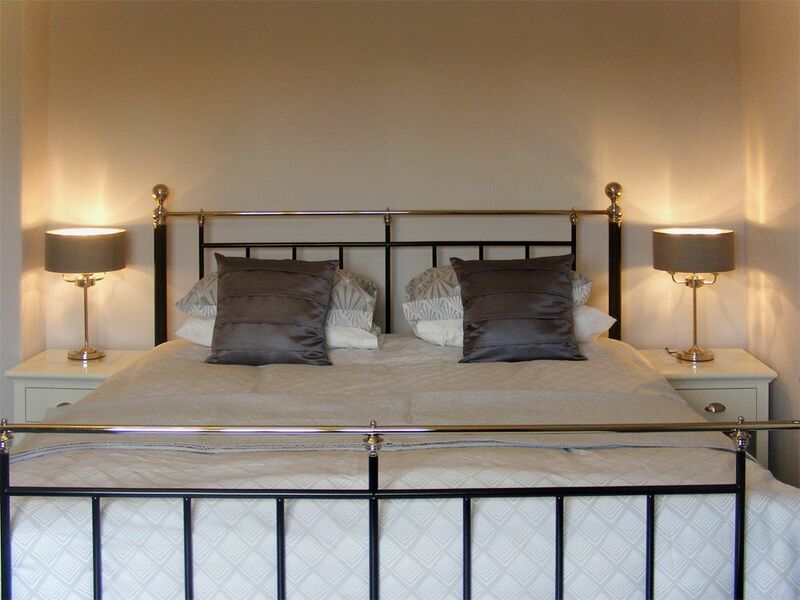 All communication and booking with Bedwyns was very easy, friendly and we will definitely book again. 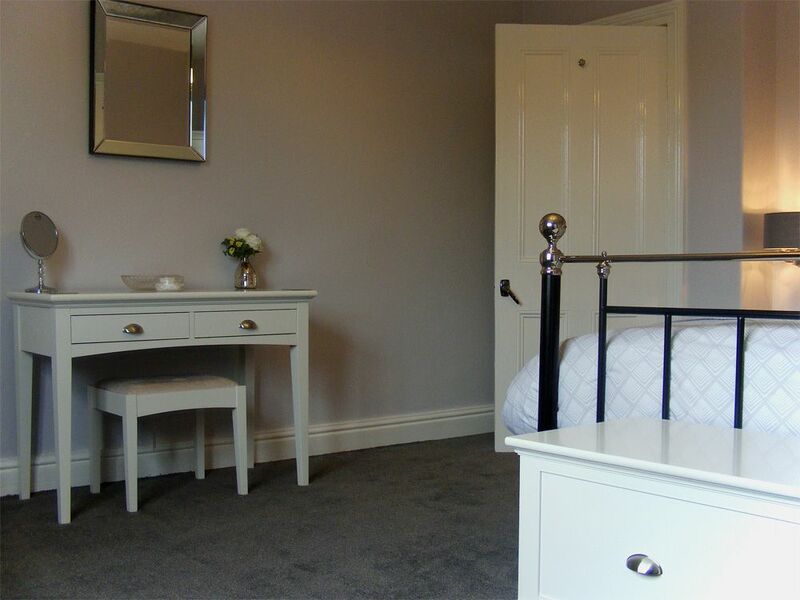 Our young family really enjoyed our stay - comfortable bedrooms and a large living space- essential with 2 children. Many thanks Starfish. We enjoyed a wonderful short break in Starfish. 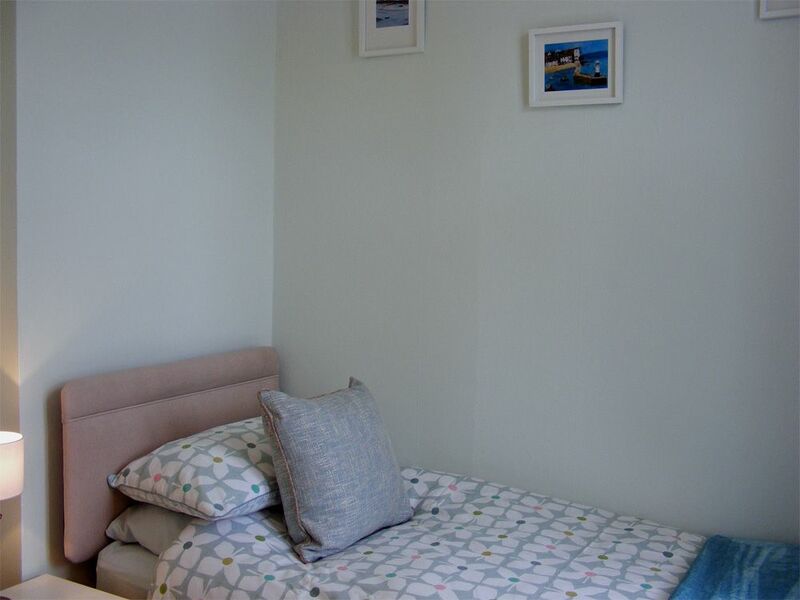 The apartment is tastefully decorated, spacious and contained everything we needed. 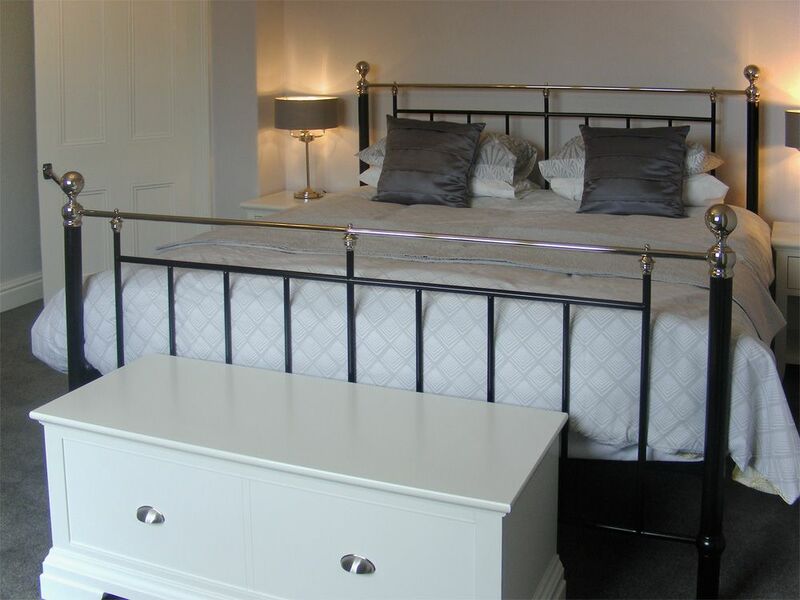 The beds were very comfortable and the kitchen appliances ensured a home from home experience. 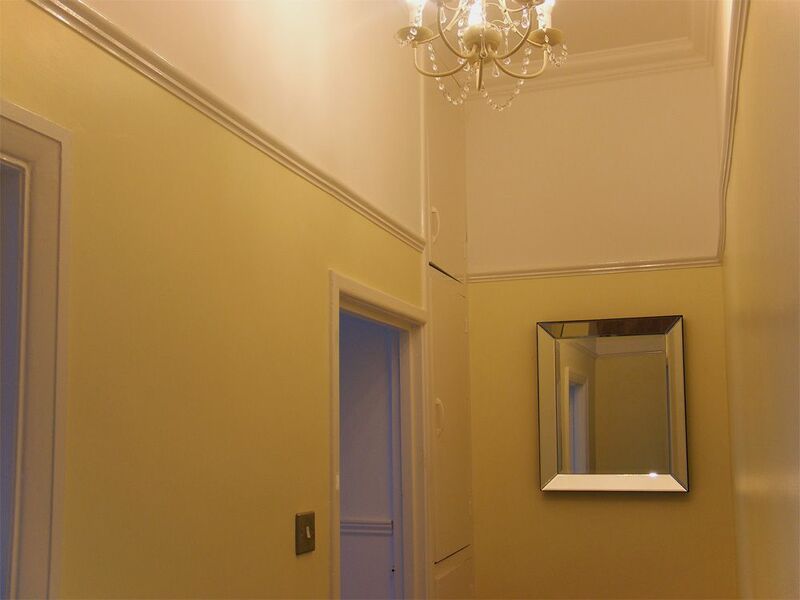 Lovely Edwardian apartment. Large rooms. Cot and highchair provided which was very helpful. Location excellent. Short walk to Cliff Lift and then onto promenade. Shops nearby. Personal service from Bedwyns. We stayed here for a long weekend from Friday to Tuesday in early November. The property was easy to find, and we were able to park outside on arrival. 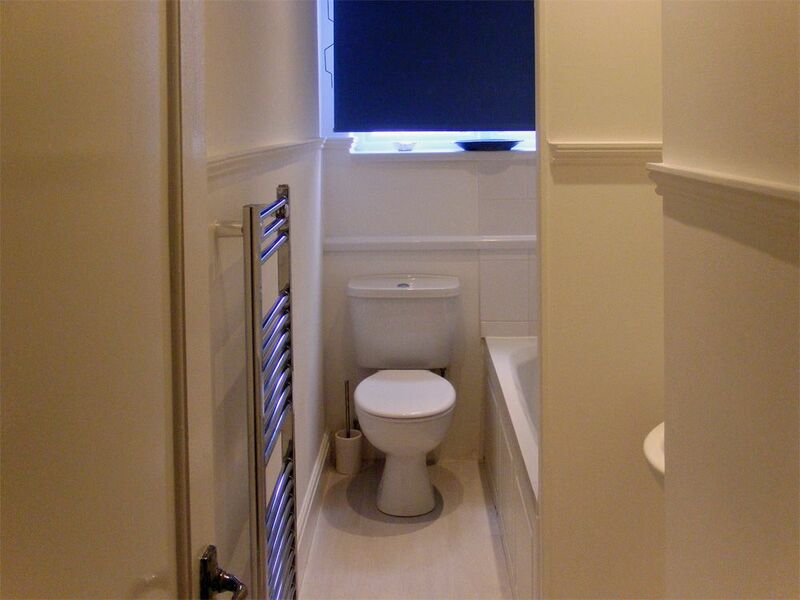 It is situated up a flight of stairs on the first floor. 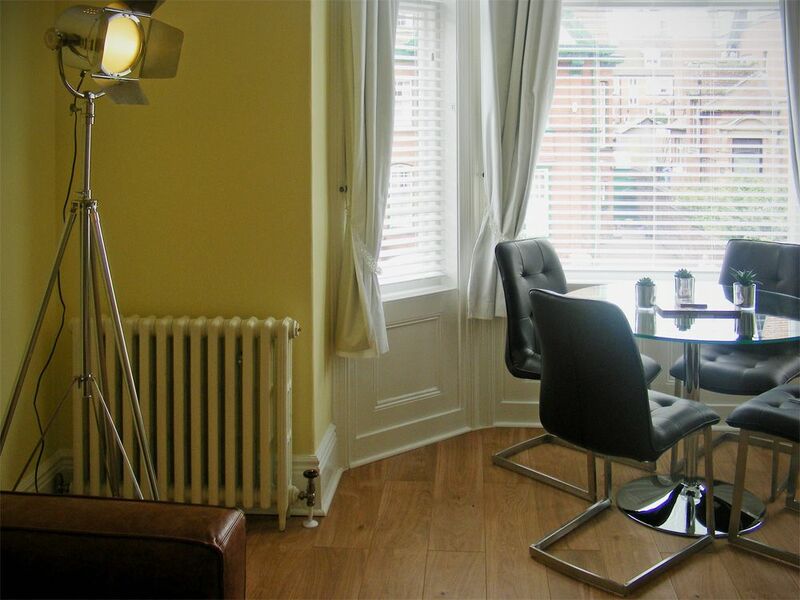 It was clean and tidy, and consisted of a large lounge with dining table, kitchen, bathroom and two bedrooms. We were able to adjust the heating temperature and settings to suit our needs, and it was nice and warm with the heating on. The kitchen had everything we needed to make some quick meals, including cooker, microwave, toaster, and there was also dishwasher. The bathroom had an electric shower over the bath. The lounge was large, with tv, dvd player, radio and a selection of local info, books and dvd's to use. 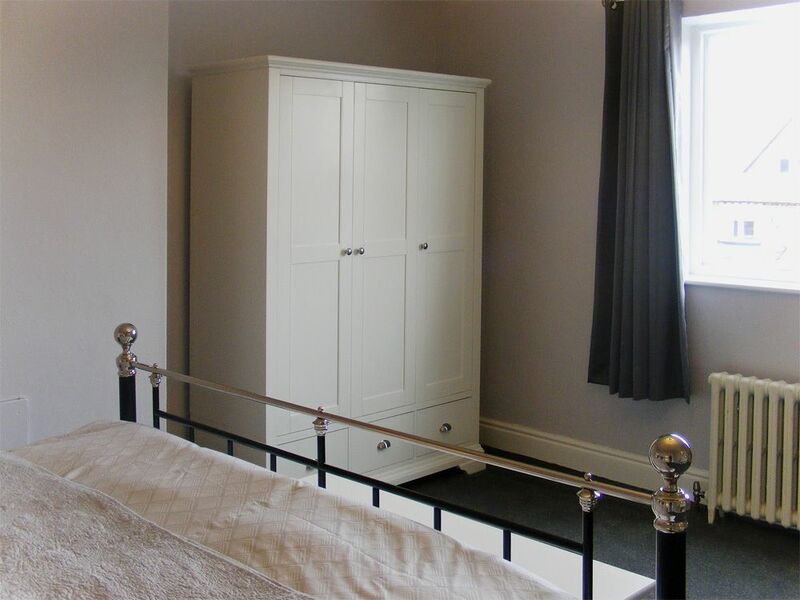 The main bedroom had a large, comfortable bed, and also a wardrobe to store clothes. We got a pizza from Toni's pizzeria in Ramshill, which was ok (but we realised when we got back it wasn't what we ordered), and there is also a Sainsbury's local in Ramshill, which was useful for bits of shopping. 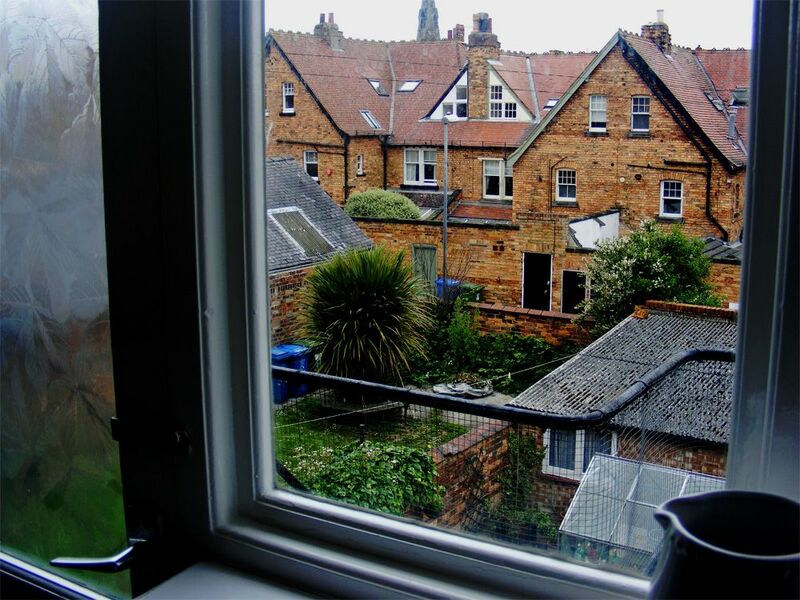 The property was a 15-20 minute walk into the centre of Scarborough. Plenty of cafés and restaurants in town do provide it though. We really enjoyed our stay! Fantastic. 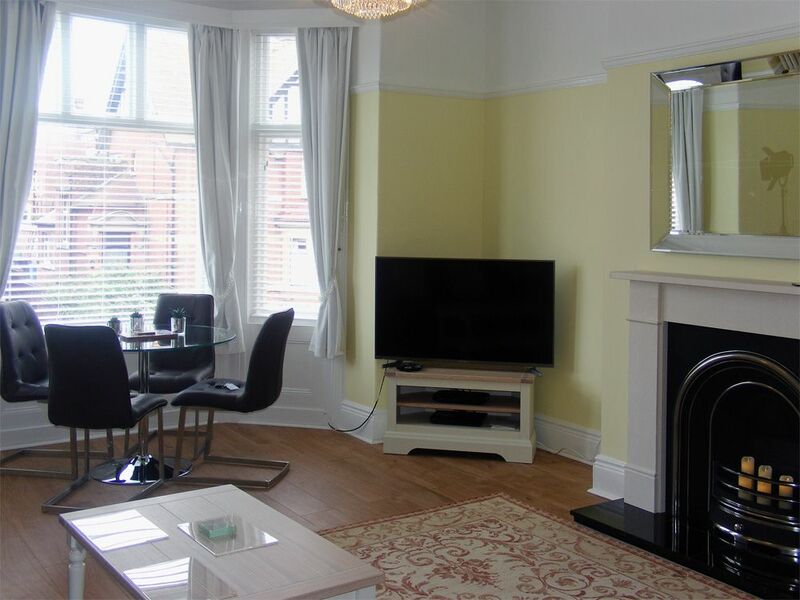 We were very happy with every aspect of this apartment, it was in a great location very quiet but 10 mins walk to town or harbour. It was like home from home clean, comfortable and warm....all you can ask for. We had great service from Bedwyns, the owner and their caretaker. It was a very well equipped apartment, everything we needed. The kitchen was small but then who needs a big kitchen on holiday. We would and have recommended Starfish to friends and we will use it again. our lovely stay at starfish.....we really enjoyed our stay at starfish, fabulous flat, quiet and with in walking distance of everything in the south bay. Cliff lift so close but be prepared to pay £1 for each seperate trip (slight reduction for returns).Slight problem with rubbish collection instigated by 3rd party but nothing we couldn't handle .Steep fire escape to garden and rubbish bins if you are not too mobile.